Prof. Francisco Sayas from the Department of Mathematical Sciences of the University of Delaware in Newark has been visiting our faculty in June 2015. He is an expert in the simulation of scattering of transient acoustic waves. Scattering is a phenomenon in the propagation of waves. An interesting example from our everyday experience is when sound waves hit obstacles the wave field gets distorted. So, in a way, we can "hear" the obstacle. Sound waves are scalar, namely, changes in pressure. Other wave types scatter as well but can have a more complex structure. For example, seismic waves are elastic waves and travel at two different speeds as primary and secondary waves. As mathematician, one can abandon the application completely and say a wave is defined as a solution of a Wave Equation. Hereby, we also mean finding these solution in different appropriate function spaces (which represent certain properties of the class of solutions), but it is a very global look onto different wave properties and gives a general idea about waves. The equations are treated as an entity of their own right. Only later in the process it makes sense to compare the results with experiments and to decide if the equations fit or are too simplified. Prof. Sayas startet out in a "save elliptic world" with well-established and classical theories such as the mapping property between data and solutions. But for the study of wave equations, today there is no classical or standard method, but very many different tools are used to find different types of results, such as the preservation of energy. Sometimes it is obvious, that the results cannot be optimal (or sharp) if e.g. properties like convexity of obstacles do not play any role in getting results. And many questions are still wide open. Also, the numerical methods must be well designed. Up to now, transient waves are the most challenging and interesting problem for Prof. Sayas. They include all frequencies and propagate in time. So it is difficult to find the correct speed of propagation and also dispersion enters the configuration. On the one hand, the existence and regularity together with other properties of solutions have to be shown, but on the other hand, it is necessary to calculate the propagation process for simulations - i.e. the solutions - numerically. There are many different numerical schemes for bounded domains. Prof. Sayas prefers FEM and combines them with boundary integral equations as representative for the outer domain effects. The big advantage of the boundary integral representation is that it is physical correct but unfortunately, it is very complicated and all points on the boundary are interconnected. Finite Elements fit well to a black box approach which leads to its popularity among engineers. The regularity of the boundary can be really low if one chooses Galerkin methods. The combination of both tools is a bit tricky since the solver for the Wave Equations needs data on the boundary which it has to get from the Boundary element code and vice versa. Through this coupling it is already clear that in the coding the integration of the different tools is an important part and has to be done in a way that all users of the code which will improve it in the future can understand what is happening. Prof. Sayas is fascinated by his research field. This is also due to its educational aspect: the challenging mathematics, the set of tools still mainly unclear together with the intensive computational part of his work. The area is still wide open and one has to explain mathematics to other people interested in the results. In his carreer he started out with studying Finite Elements at the University in Zaragoza and worked on boundary elements with his PhD-supervisor from France. After some time he was looking for a challenging new topic and found his field in which he can combine both fields. He has worked three years at the University of Minnesota (2007-2010) and decided to find his future at a University in the U.S.. In this way he arrived at the University of Delaware and is very satisfied with the opportunities in his field of research and the chances for young researchers. deltaBEM - Easy to Implement Boundary Integral Equations, open source software developed by Team Pancho at the Department of Mathematical Sciences in Delaware. 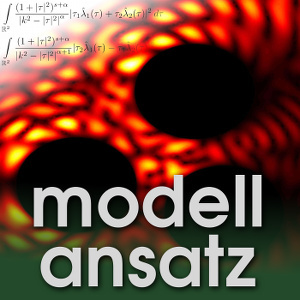 A. R. Laliena, F. J. Sayas: Theoretical aspects of the application of convolution quadrature to scattering of acoustic waves, Numerische Mathematik, 112(4), 637-678, 2009. F. J. Sayas: Energy estimates for Galerkin semidiscretizations of time domain boundary integral equations, Numerische Mathematik, 124(1), 121-149, 2013.